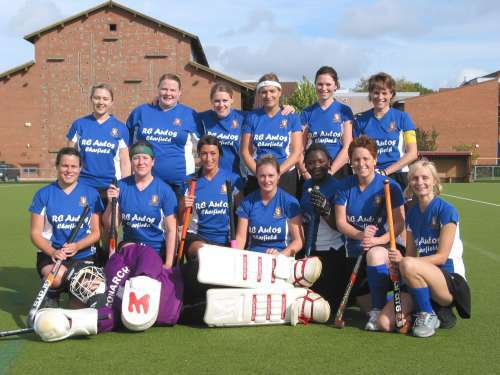 Wotton-under-Edge Hockey Club reflected on a memorable 2006/07 season at their Annual General Meeting on Monday night. Chairman Dr Alan Hooper thanked all those who had helped make the year such a success given the uncertainty surrounding the club in September. Back in the autumn, the club took the regrettable step of withdrawing its flagship 1st XI from Premier One of the Gerrard League following the loss of a substantial number of players. Ironically, this brought the remainder of the club closer together and with two new teams coming on line, the club has broadened its base in the community while remaining successful. Secretary Stuart Emms reported on a season of significant progress for the Wotton Community Sports Foundation which could see the club's long held ambition of playing its home fixtures in the town a reality in the not too distant future. Both men's teams were promoted out of their respective divisions with the new look 1st XI deservedly crowned champions of the Severn Division under Tim Saunderson's captaincy following Cardiff's point deduction for fielding ineligible players. The men's 2nd XI complemented this success by gaining promotion into Hereford & Gloucestershire Division One. Making their league debut last year, Wotton's new ladies team surpassed expectation by narrowly missing out on promotion with a third place finish. Another new team – the boys' badgers – consisting of mostly U16 players were one of the best sides in their competition and the club sees this as a vital stepping stone in blooding youngsters making the transition from junior to senior hockey. The 2007/08 season sees a mix of the status quo with several exiting new appointments. All of the principal club officers are remain in place, but the club is delighted that James Bull, formerly of Banbury HC, was elected as Men's 1st XI captain with striker Ryan Howarth as his deputy. Vicky Carney will look to build on last season's success as Ladies skipper with Lucy Waite elected vice Captain. Rising star Henry Collins has been given the honour of leading the boys' badgers side into the new season. Finally, the meeting formally elected founding member Willie Cruickshank as an honorary vice President of the club as recognition of his continuing hard work and effort.